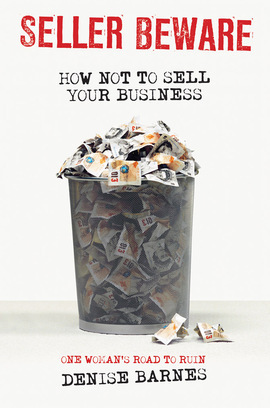 Seller Beware is an invaluable guide to selling your business from someone who found out the hard way. When Denise Barnes decided to sell her successful estate agency she quickly discovered the myriad pitfalls involved in selling your own business, not to mention the mental anxiety it can cause. To help others avoid what happened to her she has produced this thoroughly researched and completely accessible layman’s guide – the only one of its kind available. This is essential reading for the many thousands of people each year looking to sell. Highly personal and affectionate book… the unlikeliest subject is utterly captivating.